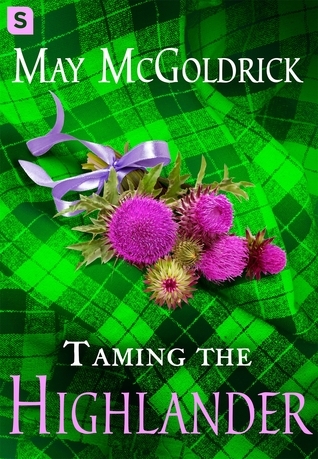 This new historical romance from May McGoldrick pits one spirited lass against her biggest challenge yet: a Highland lord who has no desire to lose his heart. Book 2 of the Scottish Relic Trilogy hits a 5 STAR home run! 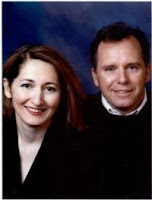 The authors continue mesmerizing the readers with a solid well written story of intrigue, mysticism, brokenness within families and love. This fast paced plot deals with Conall being fractured due to war and injury, Innes who can touch no one and of course families trying to heal and create a world where they can all be happy and loved. The well thought out plot will keep the reader on the edge of their seat wondering if Conall and Innes can find a way to communicate and open themselves to each other. It was interesting seeing the authors fully develop the compassionate love story part of the plot before they brought in the same evil villain, brutal Sir Ralph Evers from Much Ado About Highlanders book #1 of this series. Also, I thoroughly enjoyed the humor that is interwoven in the story with the marriage of Innes's younger sister, Ailein to Bryce, Conall's younger brother. It was amusing watching those two bicker from the moment of their wedding. The readers will be delighted when they discover what all the bickering was about. I give this 5 STARS for it's compassionate portrayal of Conall and the interjection of some humor to offset the intensity of the love story.